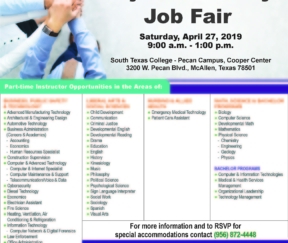 South Texas College is hosting a job fair for individuals who have an interest in teaching part time. 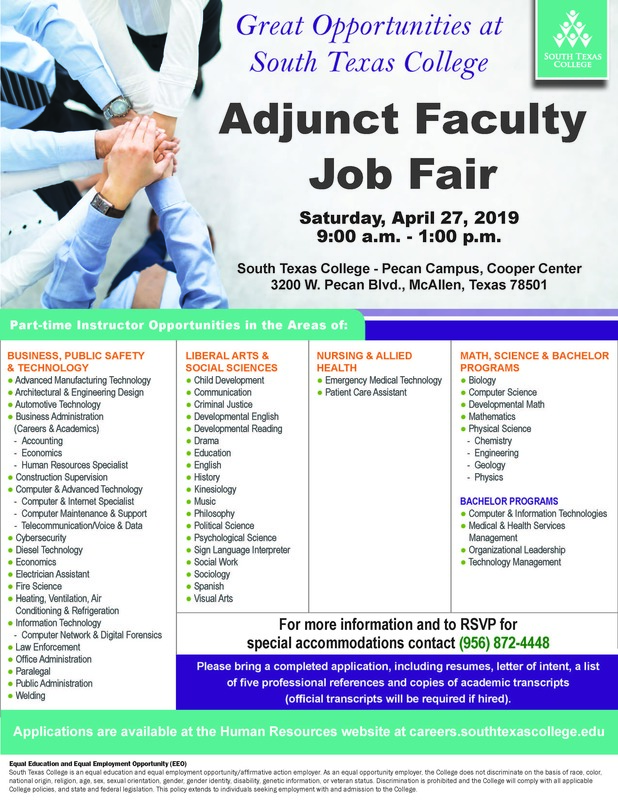 Click the flyer to the left or visit careers.southtexascollege.edu to view open positions. Depending on the discipline/field, one of the educational requirements for teaching at STC would be a minimum of an associate’s or master’s degree. For more information, call 956-872-4448.